JAPAN 2018 DISNEY MINNIE & MICKEY MOUSE 82 YEN COMP. 2018 Used Greetings "Disney", 62yens 10 diff. stamps. Latest! 2018 Used Greetings "Disney", 62yens 10 diff. Issued on 8th June 2018. Item ：Disney MICKEY & MINNIE. ■ Combined with other stamp. Stamp only. Date of issue ：Feb-9-2017. 2014 issued at Tokyo Disney Land. Japan 2018 MNH sheet 620 Yen. Winnie the Pooh Disney. See scan. Japan 2018 MNH sheet 620 Yen. Winnie the Pooh Disney. JAPAN 2015 DISNEY (WINNIE THE POOH) 52 YEN COMP. Don't miss this great item for your collection. Don't miss this great item for your collection. Item ：Disney POOH. ■ Combined with other stamp. Stamp only. Date of issue ：Feb-9-2017. It was released on August 8th, 2018. 2018 Disney Mickey & Minnie Mouse 10 Complete Used on paper. Can be soak off from paper. Just into water. Good condition. 80 JPY x 10 pieces. Japan / Disney Stamp Sheet. - Complete Mint : No Fingerprints, No Stains. 52 JPY x 10 pieces. Japan / Disney Animates Classics. - Complete Mint : No Fingerprints, No Stains. Japan Scott No. 3411a-j 3412a-j[Year 2012]. Motivausgabe Disneyfiguren in postfrischer Erhaltung. Disney Characters mint never hinged. Mini sheet Disney mint never hinged. (z.B. Schweiz, USA, China) können zusätzliche. nach §25a UstG (Sammlungsstücke und Antiquitäten/Sonderregelung). Kleinbogen Disney-Figuren in postfrischer Erhaltung. 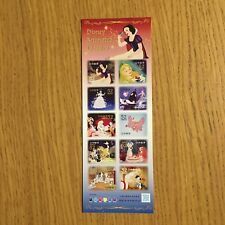 Mini Sheet Disney mint never hinged. Mini sheet Disney mint never hinged. S G: MS 5023 / 5032 SELF ADHESIVE ON PAPER. MICKEY AND MINNIE MOUSE. Mounts / Pages are not included, they are for display purposes only.